Are you experiencing that your Mac is slowing down? Are you having those situations wherein you are consuming more of your precious time just by waiting for an application to launch? If this is your situation right now, then this article is for you. The main reason as to why the scenarios mentioned above is happening to you is because you are already running out of storage space on your Mac’s RAM. Most users would actually think about what should they do about this. Here, we are going to show you several ways with how you can get more RAM on your Mac. Part 1 : What is RAM? Part 2 : How to manually check Mac RAM? Part 3 : How to Get More RAM on Mac? Part 4 : How to upgrade your Mac RAM? RAM or Random Access Memory is one of the most important components of every device that we have. This includes your Mac, desktops, smartphones, tablets, and gaming consoles. Without any RAM running on your devices, then this will result in a very slow performance. Same goes if you are running out of RAM on your Mac. You will experience a slow performance on your Mac once that you are having a high memory usage or when a certain application is needing more RAM than what your Mac can provide. To make things simple, the more RAM space you have on your Mac, then that means that your Mac will be able to exert a better performance. Now, if you are experiencing that your Mac is getting slow or you have an application that requires more RAM on your Mac, then the best solution for this is to get more RAM or upgrade it. The way with how you can check on your RAM will actually depend on the version of your Mac that you are using. Once that you are frequently using your Mac, then there is a need for you to check on the status of it. Here are ways with how you can check your RAM on different macOS version. • From there, go ahead and type in “Activity Monitor”. • Then, go ahead and select on the Memory tab located at the top of your window. After that, you will be able to see on your screen in different colors. If you see a green color on your screen, then that means that your Mac is doing fine. If you see a yellow color, then this means that the jury is still out. However, once that you see a red color on your screen, then that means that your RAM has a high memory usage. 2. For Older Version of Mac OS Such as Leopard and Lion. If you have an older version of macOS, then you can do the same steps above. However, there is a need for you to find a Free and Page Outs. Free – This means how much free RAM is still available on your Mac. If ever that you have a lot of applications installed on your Mac but you still have a good number of free RAM, then that means that your memory is still enough. Page Outs – This is an indication that tells you how often your Mac had run of RAM. Once that you see a high amount of number, then this means that you do not have enough RAM left on your Mac. If you have seen that your Mac is currently running out of RAM, then there is a simpler solution that you can do. This is basically by cleaning up your Mac. For you to do this, you might need a Mac cleaner software. Using a Mac Cleaner is the fastest yet efficient way for you to get more RAM. The most recommended software that you can use is the iMyMac-Cleaner. 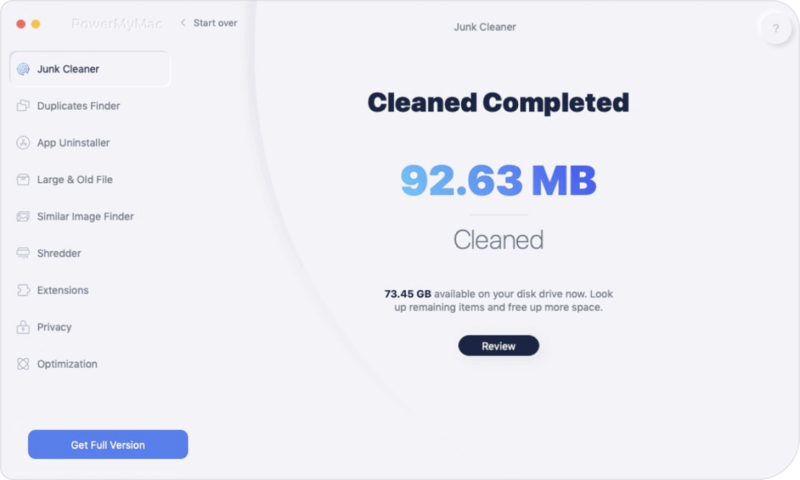 The iMyMac-Cleaner will allow you to free up your RAM from your junk files, large and old files, unwanted email attachments, iTunes backup file that you no longer need and those multi-languages that you have on your Mac. The iMyMac's Mac Cleaner is very safe to use and efficient when it comes to getting more RAM and speeding up your Mac. Below is a guide for you that you can follow to clean up your Mac and get more RAM. All you have to do is go to our website, www.imymac.com and then click on the download button for iMyMac Cleaner. After downloading the program, go ahead and have it installed on your Mac. Once that you have completely downloaded the iMyMac Cleaner on your Mac, go ahead and launch it. On the main interface of the program, you will be able to see where the system status of your Mac like your memory. On the left side of the main interface, you will be able to see a list of modules that the iMyMac is designed to do. From that list go ahead and click on the Junk Files module. You can also choose Clutter for you to declutter your Mac and Large and Old Files for you to remove those unwanted large and old files that you have on your Mac. Then you can proceed with the next steps. Once that you have selected the module, go ahead and click on the Scan button. The program then will start scanning all the junks that you have on your Mac. Wait for the program to finish scanning. Once that the iMyMac Cleaner is done scanning the junk files on your Mac, a list will then appear on your screen. This list is actually a category of all the junks that you have on your Mac. You will be able to see their categories such as Application Cache, Mail Junks, System Cache, User Logs, Trash Bin, Photo Junks, and more. Choose all the categories that you want to clean and then preview all the items that they contain. Once that you have selected all the categories and items that you want to remove from your Mac, go ahead and click on the Clean button. Confirm the changes by clicking on the Confirm button from the popup box that will appear on your screen. Wait for the program to complete the cleaning process. Once that the program is done with the cleaning process, you will be able to see on your screen an indication that says “Zero KB”. This means that those folders are now all empty. However, there are some folders that will not have this indication. This is just normal because those folders are auto recreated folders. Rest assured that everything is all cleaned up on your Mac. And there you have it. You have successfully cleaned up your Mac. You can go ahead and try to check on your RAM again and you will see that you have gained more space on your RAM. Cleaning up your Mac will give you more space and will enhance the speed of your Mac as well. After you have removed all the junks and other unnecessary files on your Mac and you still have the urge on getting more RAM for your Mac, then the best solution that you can do is to upgrade its RAM. Below are the things that you should do for you to be able to upgrade the RAM on your Mac. It does not matter whether you are using an iMac, MacBook Pro, or other kinds of Mac because there is still a lot of information that you should check for you to get your accurate system. For you to get the details that you need, here is what you should do. • Go ahead and click on the Apple icon. • Then choose About This Mac. • From that page, you will be able to see your system information. There is a tendency that your Mac cannot accommodate any additional RAM. This is disappointing but true. This is why you should check if your Mac can still handle to have an additional RAM. Here is how you can check for your RAM’s status. • Click on the Apple icon on your Mac. • And then choose About This Mac. • After that, go ahead and click on the More Info option. • The System Profiler will then launch on your screen. • In the System Profiler page, go ahead and click on the Memory option located in the left column of your screen. After that, you will see on the right side of your screen the accurate details of your RAM modules or sticks. You will also see there “Banks” which refers to the slots that the RAM is inserted. If in case that you see an empty bank, then that means you can upgrade your Mac’s RAM. Here, we are going to make sure that your Mac can truly take an upgrade. All you have to do is go to Technical Specification on Apple Support and then look for the exact model of your Mac. Once that you have located your Mac, go ahead and click on it for you to see all the information about it. Here, what you are trying to look for is an information that will help you know how much RAM your Mac can work on. Once that you have seen the information that you need, go ahead and compare it the RAM that you have on your Mac. If you do this, you will be able to know whether your Mac’s RAM can be upgraded or not. If in case that you cannot upgrade your Mac, then you can go ahead and perform another cleaning process on your Mac just like we did above using the iMac Cleaner. This will help you improve the speed of your Mac. Once that you have seen that you can upgrade the RAM on your Mac, then its time for you to select your new RAM. Once that you have selected the new RAM that you are going to have, then upgrading it is very simple. All you have to know is where you can be located your RAM for you to be able to insert the new RAM that you have. So, there you have it. That is how simple it is to get more RAM on your Mac. All you need to have is the knowledge and then follow all the guide that we have provided you. We know that most of us would want to upgrade their RAM on their Mac for them to have a better experience in using their Mac. However, as what we have mentioned above, there are instances that you cannot upgrade the RAM on your Mac. If this is your case, you can always count on to the iMyMac Cleaner. This program will be able to clean up your Mac in no time. This program is very efficient when it comes to the cleaning process. It will surely remove all the unneeded files, junks, and other folders that you have on your Mac. The iMyMac-Cleaner is very safe to use. And aside from using it to clean up all the junks that you have on your Mac, it can also help you eliminate those unwanted email attachment, it can declutter your cluttered Mac, and of course, it can help you get rid of all your old and large files that you no longer need. This is the main reason why the iMyMac Cleaner is the best program that you need. It does not only let you have more RAM on your Mac but it can also help you to speed up the performance of your Mac. / Mac Cleaner / How to Get More RAM On Mac?